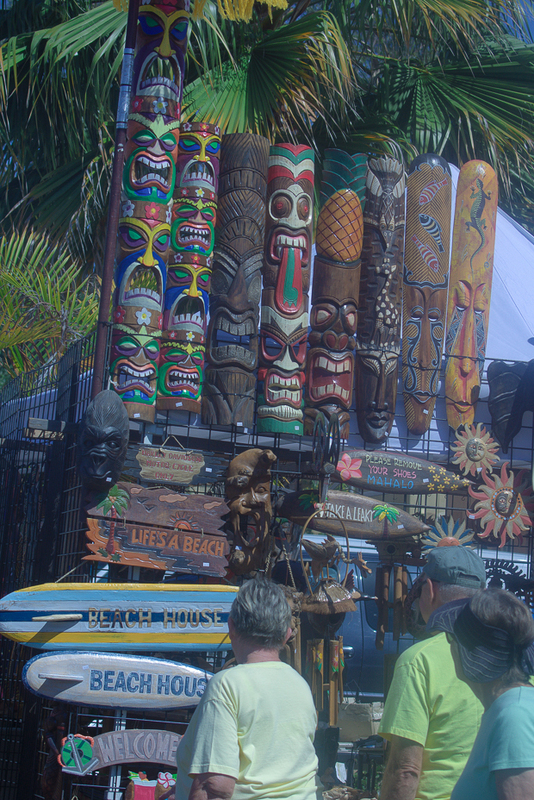 The Carlsbad Street Fair is one of our favorite FREE annual events in San Diego. In fact, we attended this event on a weekend getaway to Carlsbad at Ocean Palms Beach Resort and it’s one of the things that made us want to move to San Diego! There are so many great things to do in Carlsbad and this event never disappoints, so make sure to mark your calendars for Sunday, May 7, 2017 from 8 am – 5 pm. 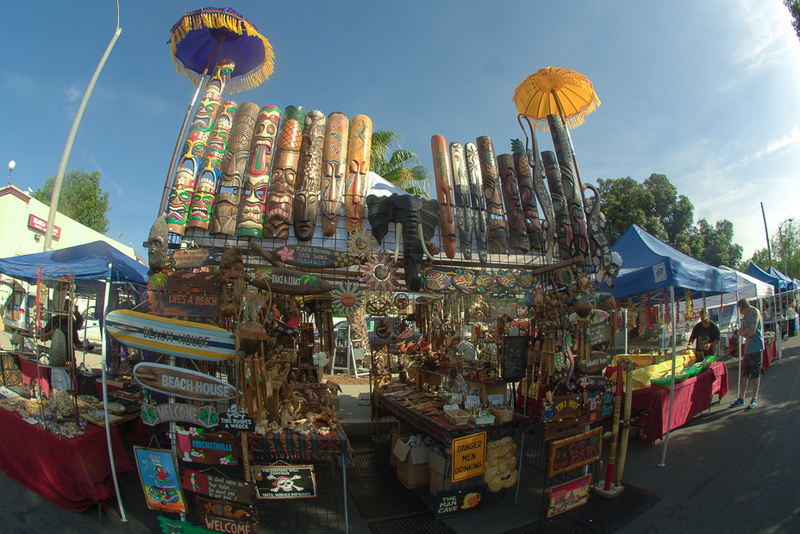 The Carlsbad Village Fair stretches 14 blocks and features more than 850 unique vendors with a little of everything: arts & crafts, antiques, unique clothing, items from around the world, and more. Children’s rides, an international food center, and an old-fashioned pancake breakfast. And, it’s dog friendly! Need we say more? 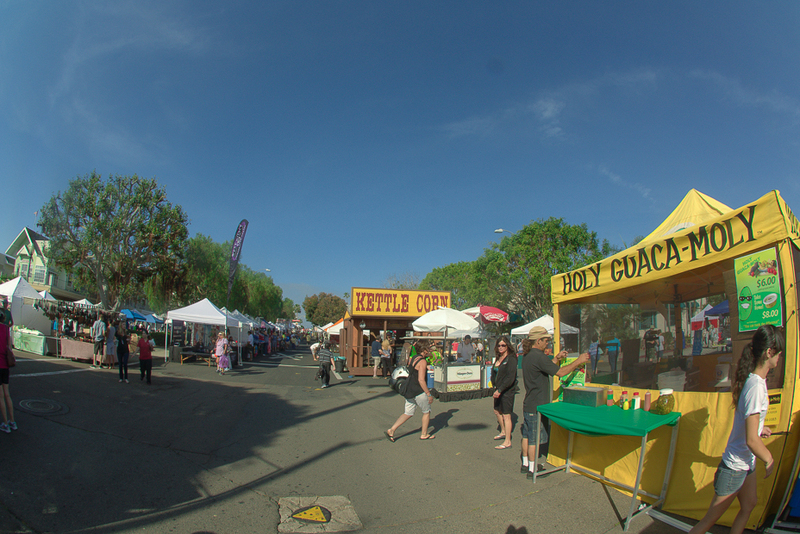 There’s something for everyone at the Carlsbad Street Fair, so pack up the whole fam and head to downtown Carlsbad! Our backyard is decked out in tikis (most of them from street fairs and a few from our travels), so this booth was a hit with us – we’re always game to add some more Hawaiian-style vibes to our yard! We bought the third one in on the top row – so many fun options to choose from. 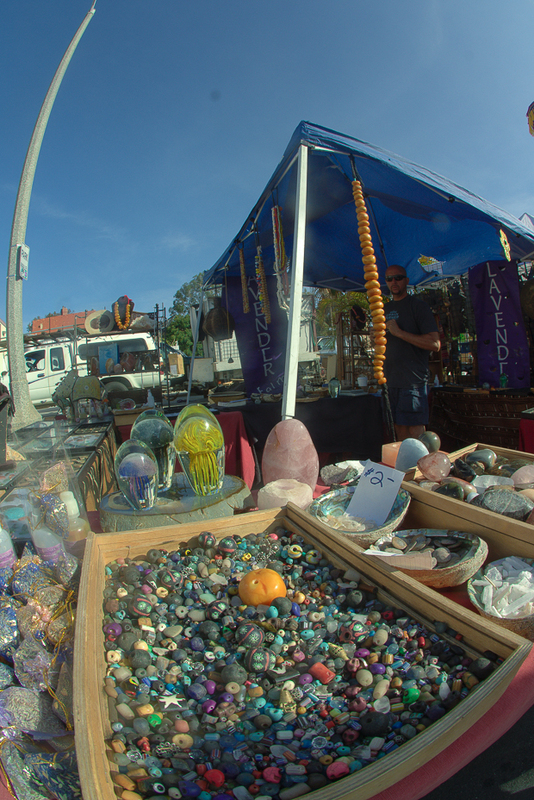 We love all the local artisans at the Carlsbad Street Fair. These hand-blown glass jellyfish caught our eye and we have one decorating the mantle on our fireplace now. And, with Mother’s Day just around the corner, the street fair is the perfect place to pick up unique, handmade gifts for Mom and support local San Diego business at the same time. 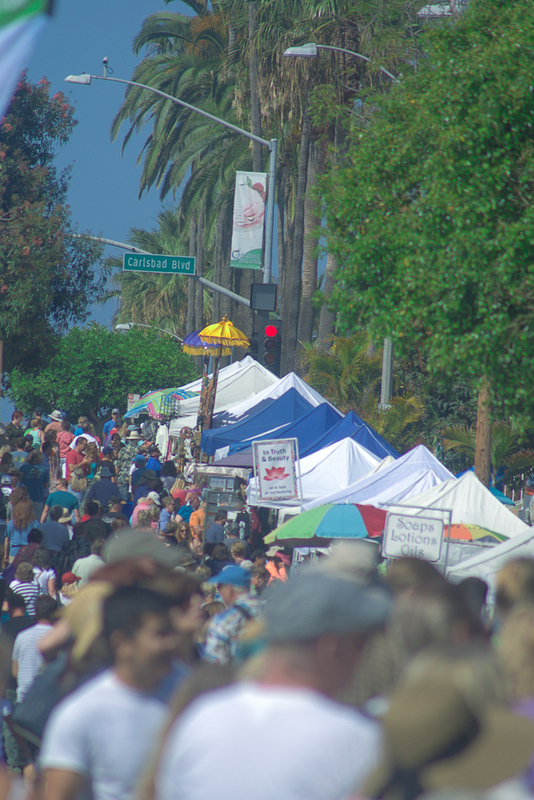 There’s a lot of walking involved at the Carlsbad Street Fair, so make sure to wear comfortable shoes and bring your appetite. H-O-L-Y Guaca-moly, there are so many good things to eat. And don’t forget to hydrate. It’s been very hot and sunny at the street fair in years past, but we hear rain is on the way this year. 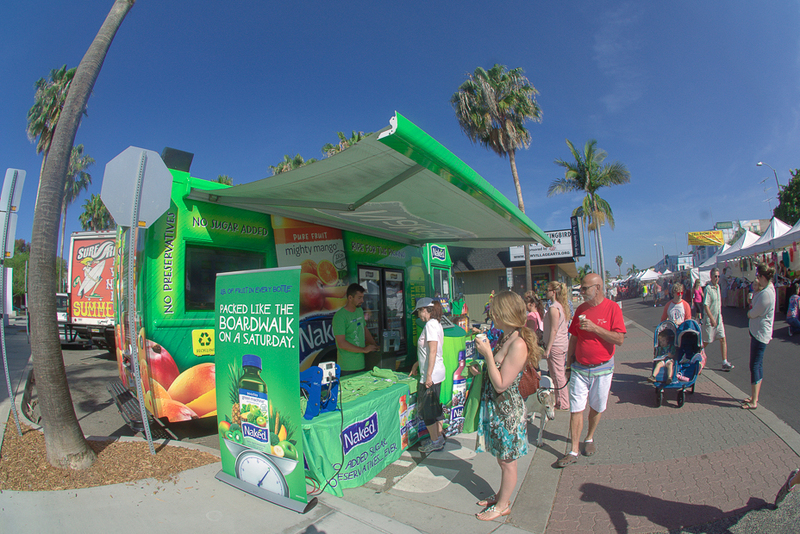 We loved refueling at the Naked Juice truck. Free green juice? Yes, please! They were also giving out free, custom-designed t-shirts. 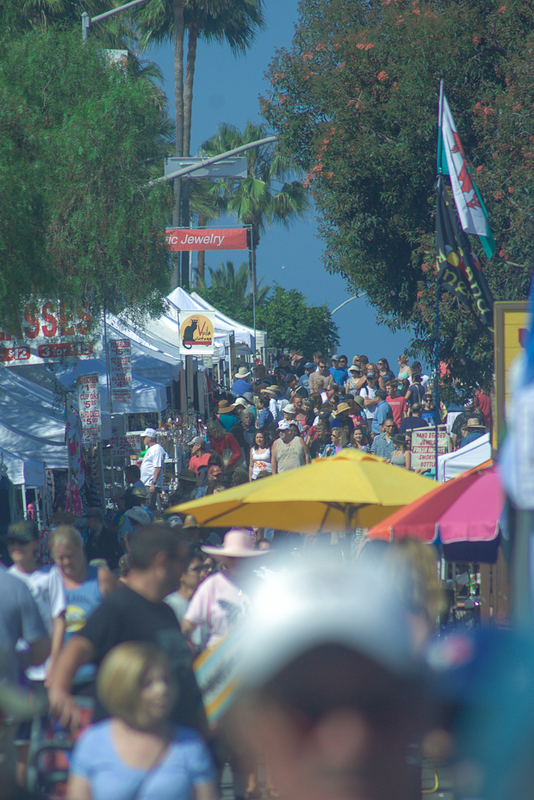 Even if you don’t plan to buy anything at the Carlsbad Street Fair, it’s a great opportunity to get out and explore all that Carlsbad has to offer. Plus, you’ll see all kinds of interesting things. Last year we even saw a pet pig on a leash. 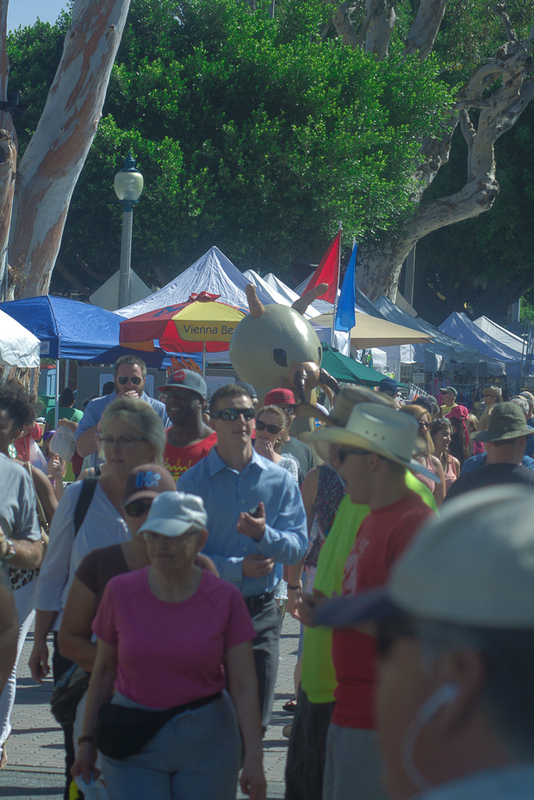 🙂 The Carlsbad Street Fair is now in its 43rd year and it attracts people (and animals!) from all over Southern California and even other states. 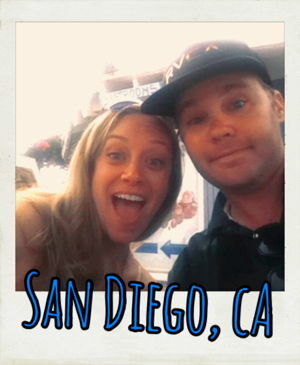 Food, music, art, family, friends, and lots of laughter – we can’t think of a better way to spend a Sunday in San Diego! Hope to see you there! Parking for the Carlsbad Street Fair is very limited. The first time we attended the fair, we were staying at Ocean Palms Beach Resort in Carlsbad, and it was the PERFECT location. Walking distance to everything downtown, including the fair. If you’re not staying at a hotel in Carlsbad that has parking, don’t even try to drive downtown and get a parking spot. Also, Grand Avenue from Carlsbad Boulevard to Jefferson Street, and all of the cross streets in between, are closed for the event. There is limited amount of handicap parking throughout the event. Complimentary shuttles run to and from the faire every 15 minutes. The shuttle pick-up locations are at the northwest corner of Sears at Shoppes at Carlsbad Plaza Camino Real (Highway 78 and Jefferson) as well as at the Poinsettia Coaster Station (Poinsettia exit off of I-5). Looking for someplace to stay in Carlsbad? Check out our weekend getaway at Ocean Palms Beach Resort – Pet Friendly Hotel Carlsbad CA.